Hi folks!! Happy Friday! 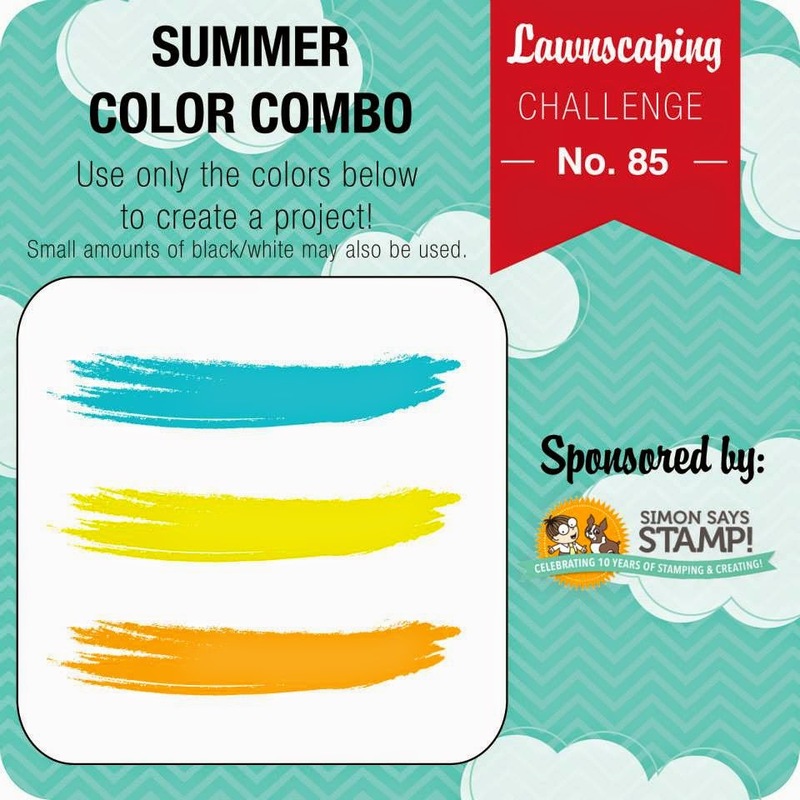 Welcome to another blog hop brought to your by the Lawnscaping FB Inspiration Team. 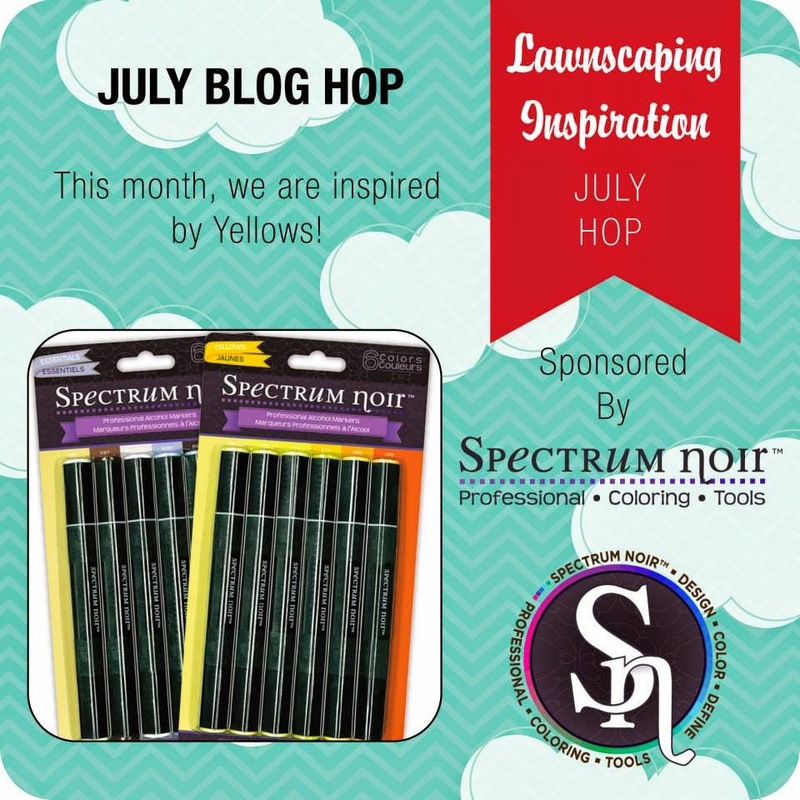 This month for our blog hop sponsored by the awesome Spectrum Noir, we are inspired by Yellows. You should have found your way to me by the fun, and awesome Isha! I am sure she had something fun to feast your eyes on!! A perfect summer set is "Make Lemonade" from Lawn Fawn. I don't ink it up as much as I should. These are cute images. Of course, when I think of summer I think of lemonade. I wanted to incorporate as much as this set together as I could. 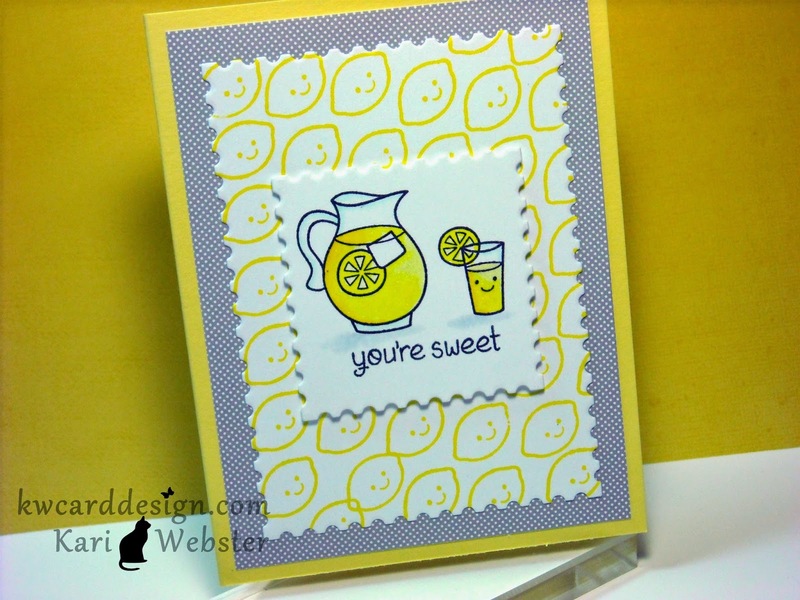 I stamped out the lemon image in Lemon Yellow Mid Tone Shadow ink from Hero Arts on my die cut piece of white card stock using the Postage Edge dies from Simon Says Stamp. The, I worked on my pitcher and glass of Lemonade coloring them in various shades of yellow alcohol markers, and when I was done, it needed shimmer...so I added some Wink of Stella!! Be sure to leave a comment as Spectrum Noir is going to be giving away some of the awesome markers! OK - time to send you off for some more fun projects - next up - Lenny! Thanks for stopping by today!! Have a great weekend! Hello fans of Lawnscaping! Welcome back to another new challenge! We are focusing on the more than ever popular water coloring! Do you like to water color? For some it may be new, intimidating, or your favorite technique - either way - we'd like to see what you'd create! Our sponsor is the super awesome Lawn Fawn!! How awesome is that!? Here is what I came up with for my project featuring water color. 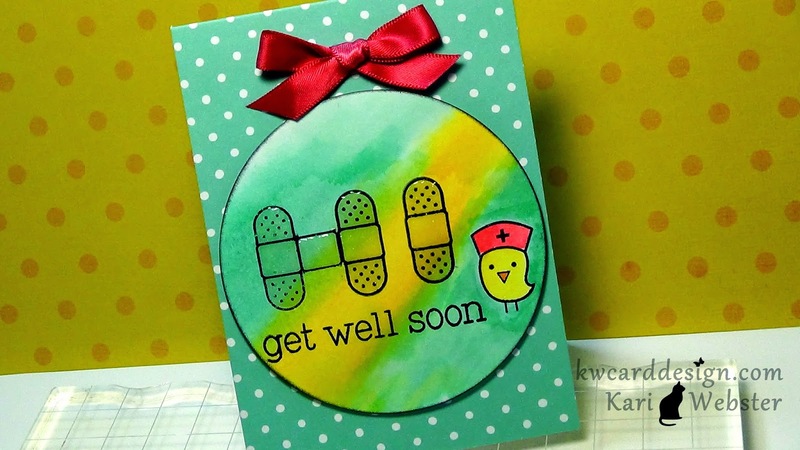 I used the adorable mini set "Get Well Soon" by Lawn Fawn - I thought it would be cute and different to use the little band aid and spell out " Hi". 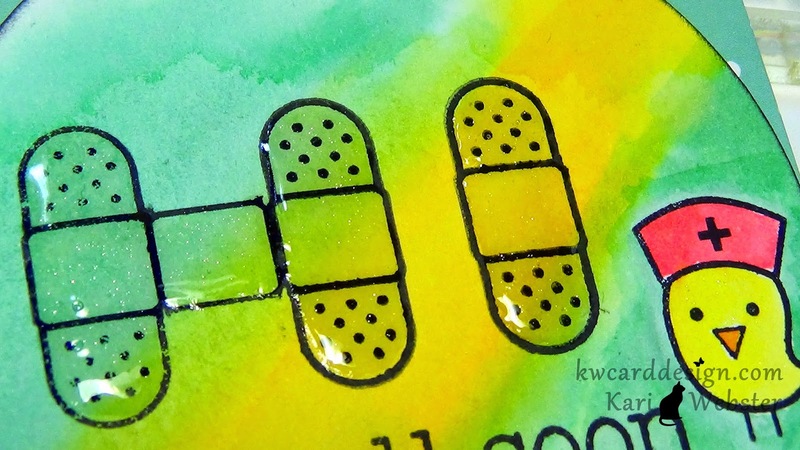 I used some of the Tim Holtz Water color paper and stamped all of my images in Staz On Ink since I was water coloring, and it is a water proof ink. I used Distress Inks to water color my background and birdie image. I used Evergreen Bough, Wild Honey, Mustard Seed, and Worn Lipstick. 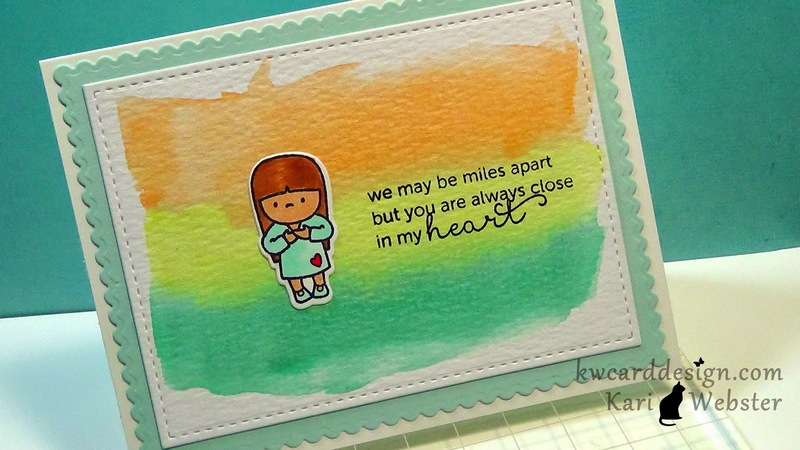 After I did my water coloring, and once it was dry, I die cut my piece with one of my Sizzix Circles Dies. I thought the edge of the circle needed a bit of definition, so I added a bit of Black Soot to the edge, and it makes it stand out better against the Lawn Fawn card base I used - these are the Lawn Fawndamentals notecards - they are a 4 bar size which is 3 1/3 X 4 7/8. I added some Wink of Stella to my bird, and my "Hi" and added some glossy accents to the band aids. Hopefully this card would perk any one up that was feeling under the weather :) Be sure and play along!! 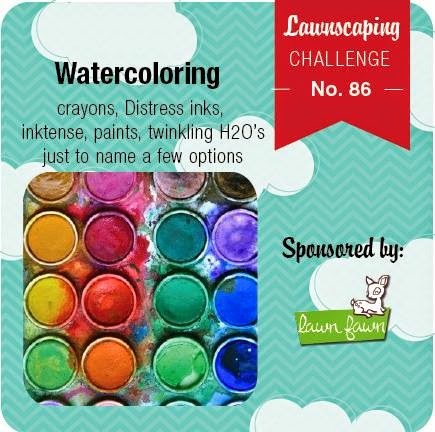 There is a great prize to be won by Lawn Fawn! Hi everyone!! Today's card I wanted to dive into the over run collection I have of washi tape! I have a lot of rolls of this stuff, and sadly I don't use it nearly enough as I should, so I wanted to break some out and make a colorful card with it! I love to link to the exact rolls I used, but I bought these at Michael's - they are the Recollection brand, but you can use what ever patterns, and colors you have on hand for this very card! Of course too, I couldn't avoid using my oh so loved Femme Frames from Mama Elephant. Maybe that should be a crafty challenge within itself for me...I should try to make a card WITHOUT using these frames!! HAHA! Anyhoo! 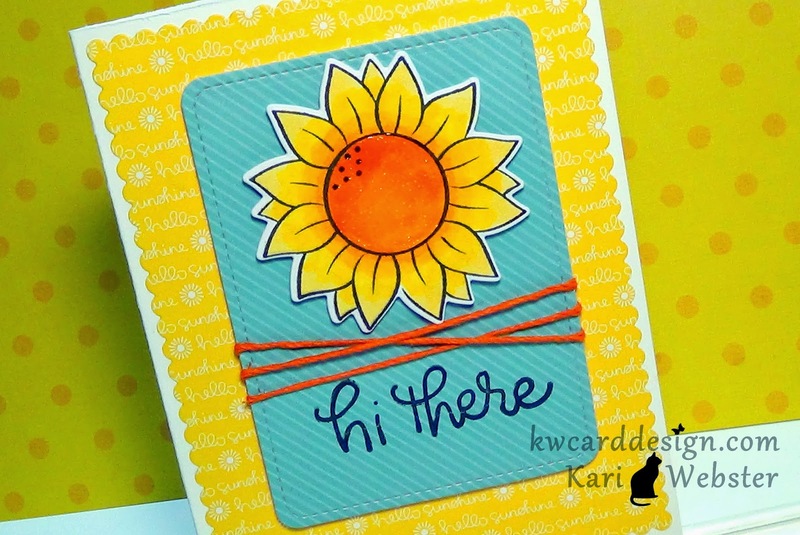 - I have the below on just how I made this card! I hope you enjoy! And, if you are not yet subscribed to my YouTube Channel, I invite you to to subscribe! Anytime that I upload a new video, you will know as soon as it publishes! Hi all! 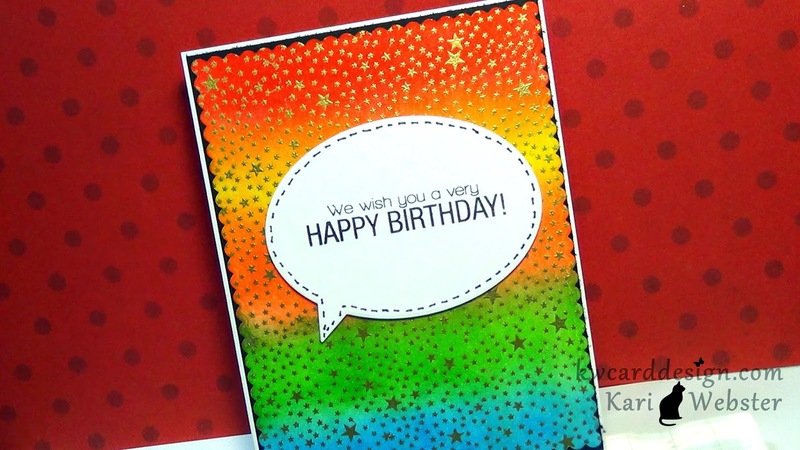 I recently posted my newest card tutorial over at my YouTube Channel, and I am doing some heat embossing, and stenciling over it using a rainbow of Distress Ink colors! Speaking of my YT channel - I am getting closer and closer to my 1000 subscribers goal!! I plan on doing a giveaway of course! It is my way of thanking you for supporting me and my videos! I love to this, and want to continue! Please tell your crafty friends about my channel, and hopefully all of you will subscribe! OK- now onto my colorful card featuring lots of goodies!! Remember all products used are linked below! Have a wonderful rest of the weekend, and I will see you back here real soon!! We have a color combo for you that is all about summer! We are sponsored by ever so popular and awesome Simon Says Stamp. Super bright and cheery!! Normally I go into detail about my card - but I am actually sharing more detail on my card over at the Lawnscaping Blog tomorrow - So please visit the blog tomorrow for more details!! Have a great Monday!! 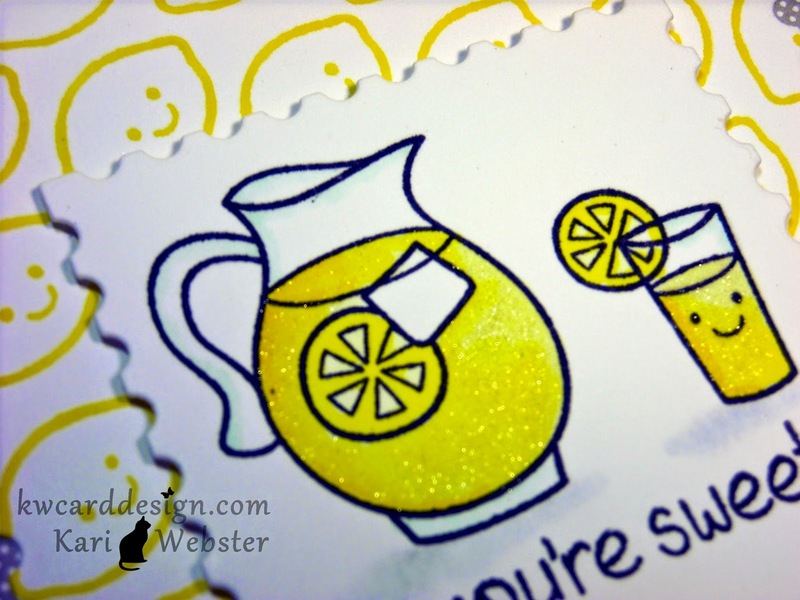 Water color + ME Stamps + Video Tutorial! Hello everyone! Today, I am sharing with you my latest video over at my You Tube Channel. I am doing a little water coloring and using my favorite set from Mama Elephant In My Heart. I absolutely love this set! Can't get enough of it! All the supplies used in my card are listed down below. 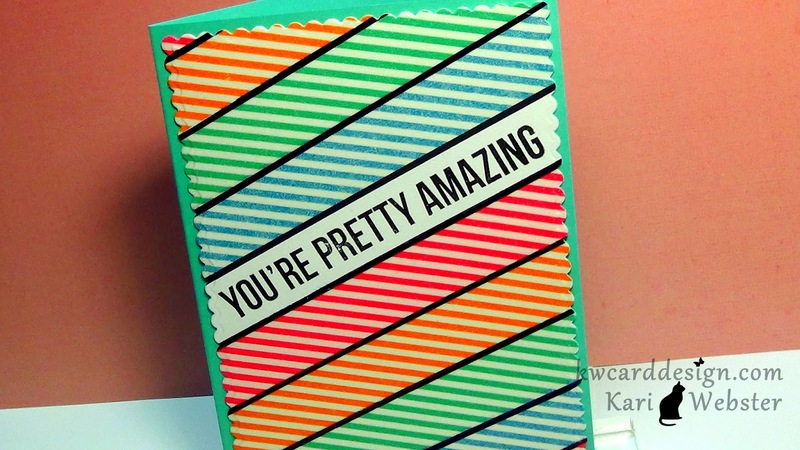 So if you are interested in seeing how I made this card, please watch the video!! Have a great Saturday!